Thoracic surgeon Dr. Raja Flores believes an alarming number of asbestos-related diseases, such as mesothelioma, will start emerging soon in New York City, stemming from rescue and cleanup efforts after the historic 9/11 terrorist attack at the World Trade Center 14 years ago. He compared it to Libby, Montana, where hundreds of miners, family members and nearby residents have died or been sickened by the asbestos dust pouring from vermiculite mines decades ago. Flores has been treating asbestos diseases for more than 20 years, specializing in malignant mesothelioma, lung cancer and esophageal cancer. He expects a spike in each of those soon, caused by the toxic cloud of carcinogenic materials that hovered for months over the area where the Twin Towers collapsed on Sept. 11, 2001. Asbestos diseases like mesothelioma typically have a long latency period (15-40 years) between exposure and obvious symptoms. Flores has sounded the alarm at a critical time for many first responders and other rescue and cleanup workers who were on the site of the attack for extended periods. More than 2,600 people died initially when two jets hijacked by radical Islamic terrorists crashed into the towers, causing their collapse and ensuing chaos. The health of tens of thousands more also has been effected in the aftermath. The 114th United States Congress is expected to pass an extension of the James Zadroga 9/11 Health and Compensation Act in the coming weeks, assuring continued support for those adversely affected by the terrorist attacks. The legislation likely will include a continuation of both the World Trade Center Health Program, and the 9/11 Victim Compensation Fund that are expiring in phases beginning this fall. Both were part of the original legislation in 2010 that committed $4.2 billion of federal money. Supporters like Feal have been lobbying for a “permanent extension,” that will ensure health care benefits and compensation indefinitely for the more than 70,000 survivors and rescue workers who have suffered health issues in the aftermath of the attack. Throughout the rescue and cleanup efforts, many were exposed for months to the toxic dust that included well-known carcinogens like asbestos. A bipartisan group of senators and congressmen in April co-sponsored the 9/11 Health and Compensation Reauthorization Act (HR. 1786, S. 928). It includes lifetime medical treatment and monitoring, as well as continued economic compensation for those involved. That proposal will likely be debated and refined before coming before the full Congress later this fall. The biggest issue will be the length of the benefit extension. There is a chance that an increasingly budget-conscious Congress will revise it with limits and end points, much like it did in the original Zadroga Act of 2010. 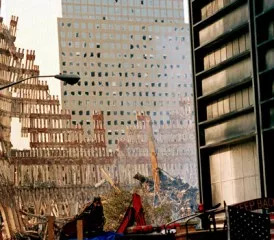 The terrorist attack and resulting carnage included 2,996 deaths spread across three sites: The World Trade Center in New York City, the Pentagon in Washington, D.C., and an open field in Shanksville, Pennsylvania. Included in the more than 70,000 receiving care or monitoring today, are an estimated 3,700 cases of various cancers that have been traced to the toxins that lingered for months around Ground Zero, site of the Twin Towers attack. Advocates believe the permanent extension is needed because the asbestos cancers like mesothelioma are not expected to peak for another 10 years. There is a broad scope of those still suffering. According to the Victim Compensation Fund’s (VCF) latest quarterly report from June 30, all 50 states have at least a handful of individuals currently receiving compensation benefits. The diversity stemmed from responders and other volunteers who crossed the country to help after the attack, along with police officers and firemen who have since retired and moved out of state. Although New York has the largest number of claimants (4,515), states like Florida (276), Pennsylvania (94) and South Carolina (44) also have many claimants receiving compensation. The VCF already has paid out or committed to pay $1.31 billion on 5,636 approved claims. There are another 11,770 claims already approved, but the amount of compensation has not been determined. The individual amounts of compensation have ranged from a high of $4.13 million to a low of $10,000. The mean amount has been $233,746. First responders have accounted for 91 percent of the total paid out, and cancer has accounted for 18 percent of the awards. Claimants are initially receiving less than half of their money, and the remaining amount will be disbursed when the fund closes at the end of 2016. The Zadroga 9/11 Health and Compensation Act was in addition to the original 9/11 Victim Compensation Fund that ended in 2004 and paid out $7 billion to the families of the almost 3,000 people who died in the original attack. It is designed to compensate for economic and non-economic losses for individuals or relatives of deceased individuals who were injured or killed as a result of the attack. The original Zadroga bill did not include cancers, but only 12 specific illnesses, mostly respiratory and digestive. A provision that included 58 different cancers, including mesothelioma, was added to the law in 2012. Feal, a 9/11 responder, has been part of the Congressional lobbying effort from the start. He has walked the halls of Congress many times with a limp. Feal had lost part of his left foot during rescue efforts at Ground Zero.